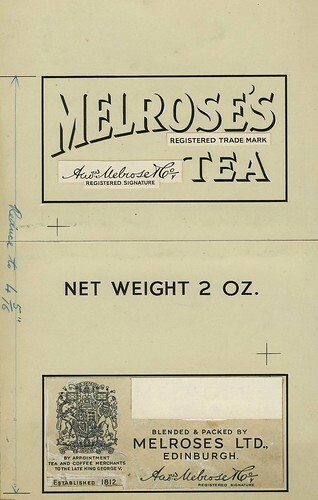 Melrose’s Tea dates back to mid-19th century Scotland. Here is an old black and white mock up of a label before it is printed. Thanks to Edinburgh City of Print for the image. You can see more of their work on Flickr.